I was a lucky girl-reporter indeed to be among the 30 or so women invited this week to the San Francisco studios of the video/shopping website Joyus, for a live chat show with fashion photographer Nigel Barker. New to me, Joyus is an informative (and fun) site that offers shopping and weekly videos, some of which are conversations, about fashion, beauty, and health for all women. Mr. Barker was interviewed by Joyus founder Sukhinder Singh Cassidy and joined in conversation by Joyus regulars stylist Kelly, and makeup artist Mikaela. 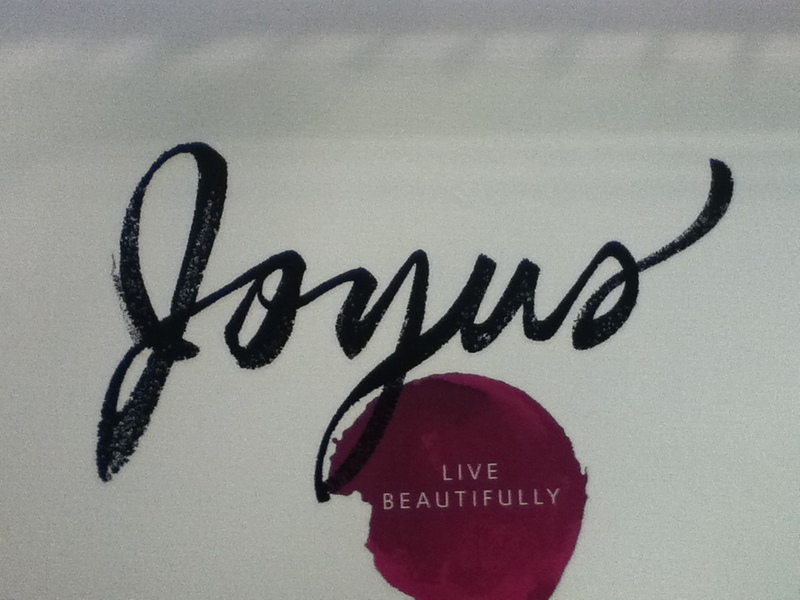 When I say live what I mean is a recording with a live audience, which was the very first ever for Joyus. The show is scheduled to air on the Joyus website November 10th and readers, you don’t want to miss it! Best known as one of the judges on the reality show America’s Next Top Model, Mr. Barker started his career in fashion as a model himself and later he became a photographer despite his parents pleas for him to go into medicine. He’s directed documentaries, written a book (Nigel Barker’s Beauty Equation Revealing a Better and More Beautiful You), has had cameos on television shows and movies including the 2011 feature film Arthur, and he has his own show – The Shot – on VH1. He hails from London but has lived in NYC for the past 16 years, now with his wife and two children. And … he’s vegetarian. The interview/conversation lasted close to two hours, during which the winner of the Joyus makeover contest was announced and introduced. The lovely lady, who will remain a mystery until the show airs on November 5th, had arrived at the studio that morning and enjoyed a full makeover with the assistance of Kelly and Mikaela. She also had a photo shoot with Mr. Barker and joined the panel for part of the discussion. Plus there was an after party with delicious food, meet and greets, and photos with the handsome Mr. Barker. So how could I resist? I couldn’t and I didn’t! Check me out donning a dress by NYC designer Yoana Baraschi, which I recently bought at the popular women’s boutique FlairWalk in Portland, Oregon. Thanks, Joyus! It was great fun. Readers, don’t forget you can view the interview with Nigel Barker on the Joyus website, November 10th, 2013. 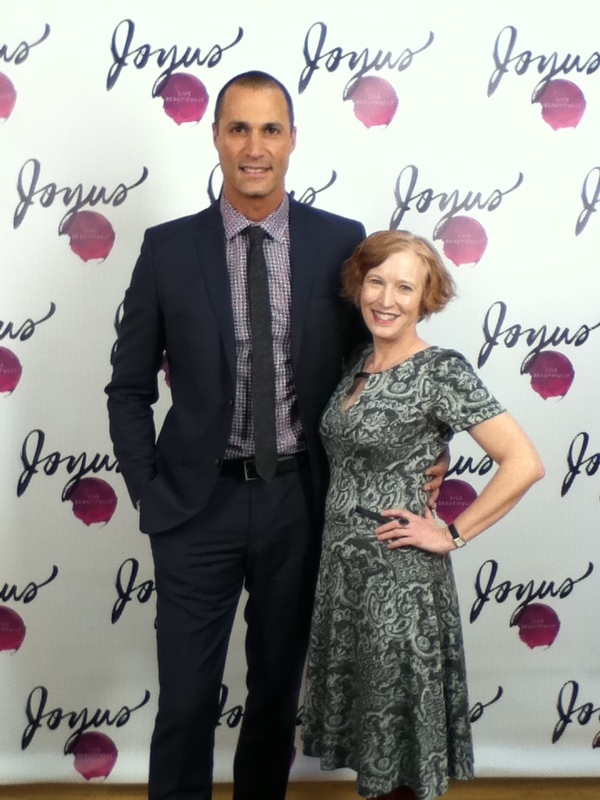 UPDATE: The Nigel Barker interview will air on the Joyus website Sunday, November 10, 2013. A JB styled look from the 2011 vintage fashion show at Collector’s Choice Antiques. I am super excited about the upcoming vintage fashion show – Glamour Fabric, & Glorious – on Saturday, November 2, 2013 at Collector’s Choice Antiques in Lafayette. Stylist JB Kaye has been working hard these past few weeks putting together 25 ensembles with antique and vintage clothing from the early 1900s to the 1980s. JB is a master at mixing eras to create unique looks for modern women. Tickets are $20 at the door and include afternoon tea. Glamorous Fabric & Glorious, Saturday November 2, 1-3, Collector’s Choice Antiques, 3574 Diablo Blvd., Lafayette. It is too bad that Ellis chose to use fur. I was determined to change the course of fashion, to move away from what I call pretentiousness of clothes – to design clothes that are more obtainable, more relaxed, but ultimately more stylish and witty. Just published by Rizzoli is a biography on Perry Ellis by fellow designer Jeffrey Banks. Perry Ellis: An American Original takes an in-depth look at Ellis’ career first as a women’s juniors buyer, then the launch of his own label in 1978 and finally his success as an award-winning American fashion designer. I have not read this book, but I always enjoy an interesting biography and from what I hear this is a winner. 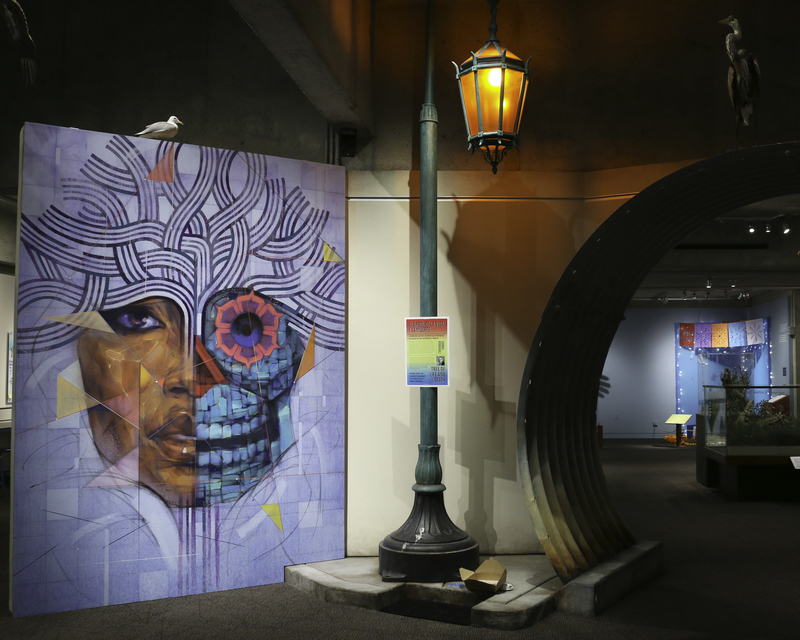 It’s that spooky time of year and once again the Oakland Museum of California is celebrating Dias de los Muertos (Days of the Dead) with a special exhibition running now through December 8, 2013. Days of the Dead is a Mesoamerican annual tradition of honoring the dead between October 31st and November 2nd with alters and various festivities. To mark their 19th year celebrating Days of the Dead and the opening of the Gallery of California Natural Sciences, this year’s exhibition title is The Tree of Life and Death. Nine local artists have created altars and installations focussed on the combined themes of remembrance and the interactions between humans and nature. Artist and Guest Curator Eduardo Pineda says: This exhibition uses the powerful symbol of the Tree of Life and Death to represent the indivisibility of life and death. Drawn from the sacred Mesoamerican metaphor of a life-giving tree that unites earth, the heavens, and the underworld of death, the tree also represents the connection with ancestors and humanity. Talk Story Time by Nancy Hom. Housed in the new California Natural Sciences Gallery, the nine pieces explore personal loss, community loss of environment and resources, and the cycle of life. One of my favorites is by artist and poet Nancy Hom. 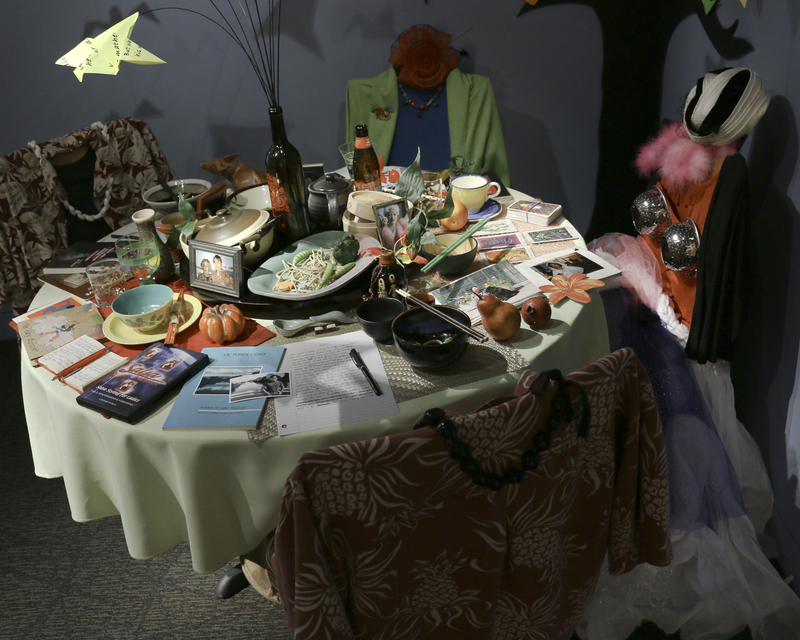 Titled Talk Story Time, her piece is a round table set for a meal with four chairs dressed in clothing including shoes placed underneath the table. The four chairs represent friends and fellow poets whom Ms. Hom had known for years. The table is meticulously set with notebooks and writings by the four authors, and photos of them as well. A tree is painted on the wall in the background and hovering above the table are origami birds which have the poets’ works written on them. It’s a compelling piece – I was drawn in at first by the dressed chairs but the more I looked the more I saw and got to know these unique individuals. There’s always something to learn, something to be inspired by, something to gain at Dias de los Muertos at the Oakland Museum of California. The idea of a uniform is like a slow painful death to me. There is nothing I like more than getting dressed. 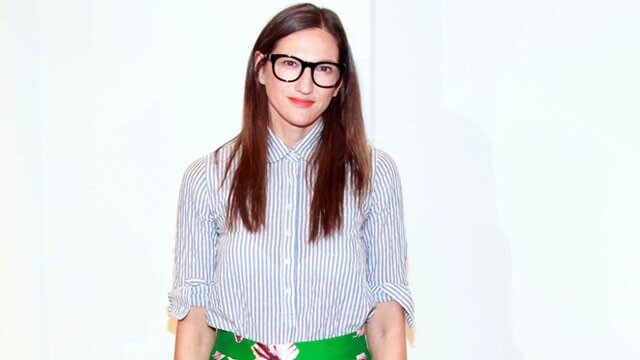 Jenna Lyons – creative director of J. Crew. I understand what Ms. Lyons is saying, she likes the creativity of dressing, but I’m not so quick to dismiss the uniform. Of course it depends on the uniform itself. Modern nurses’ uniforms? Sloppy, unflattering, and just plain ugly. Nope … wouldn’t want to have to sport that everyday. But nurses’ uniforms sixty plus years ago were tailored, chic, and reflected a sense of professionalism. (Take a look at the uniforms in the PBS drama Call the Midwife.) Also, with good-looking uniforms, which are often suits, one can get creative with accessories like a snappy hat, a bold brooch, or a colorful scarf. There is also what I call the personal uniform, which is a go-to outfit, or look, one wears regularly. My mother was big on this idea when she was raising three children in San Francisco. Living in a city and being fashion conscious, she wanted to look good but she had to be comfortable. Her go-to outfits for day were tweed skirts, Oxford shirts (with her monogram), knee-high socks and leather flats or perhaps desert boots. She played with color and texture, sometimes echoing the pattern of her skirt in her socks or picking up a color in her skirt with her shirt. Mom’s personal uniform always looked individual and sharp. Yes, uniforms have limitations but striving to be unique within those limitations is where creativity begins. 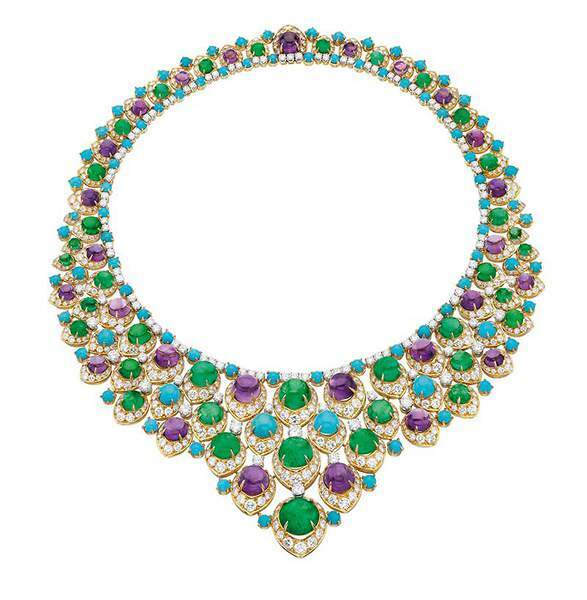 Ms. Wilsey is one among many women, famous women like Elizabeth Taylor, who have a thing for Bvlgari and now all of us can view the bold and bright wares at the de Young Museum now through February 17, 2014. 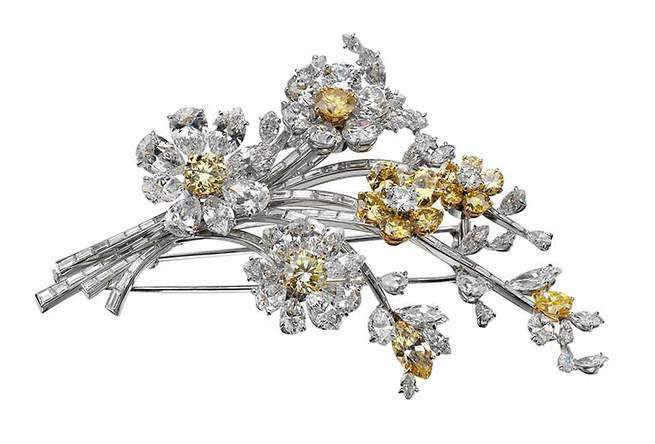 Tremblant brooches have springs allowing the flowers to ever-so-gently tremble. Called The Art of BVLGARI: La Dolce Vita and Beyond 1950-1990 the exhibit showcases some of the luxury brand’s iconic pieces such as the serpent bracelet-watch of the 1960s, the chunky chokers of the 1980s and my favorite Tremblant floral brooches popular in the late 1950s. Bvlgari opened in Rome in 1884, but it was in the 1960s that the brand caught celebrity attention when they broke away from the conventions of the day and started mixing colored cabochon (not cut) stones with yellow gold for formal occasions. Until then, it was strictly white gold or platinum for evening and diamonds alone or with one of the other precious stones. But mixing emeralds with sapphires? Rubies with emeralds? Oh, my. Bold yellow gold after 5pm? Not the done thing. Bvlgari changed all that. The Art of BVLGARI: La Dolce Vita and Beyond 1950-1990 features 150 pieces, including some from the late Elizabeth Taylor’s private collection, which Bvlgari bought at auction. The exhibit is arranged in four sections plus a theater which runs vintage film footage of celebrities sporting the brand. Many pieces are displayed in round stand-alone cases, allowing close-up views of the impressive craftsmanship for which the brand is known. If you love jewelry (and I do) this exhibit is a treat! Make sure to check out the museum’s website for lectures and special events. I hate crap, I like craftmanship. 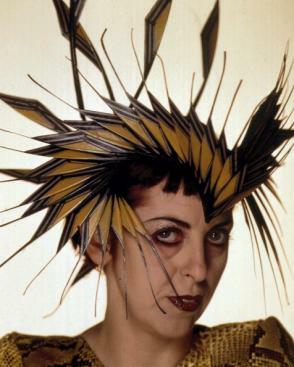 – Isabella Blow (1958-2007), British fashion magazine editor and fashion icon, hat maven and muse to milliner Philip Treacy. I just read Ms. Blow’s biography – Isabella Blow: A Life in Fashion, a well crafted page-turner by fashion writer Lauren Crowe (Thomas Dunne Books, 2010). What a life, full of highs and lows and plenty of glamour in between.